“Lose 25 pounds in 4 weeks with the latest Acai Berry supplements!”. Sounds like an appealing offer, right? That’s what many performance marketers thought as well until the FTC investigated similar offers and exposed the fraudulent tactics and fake news sites (aka “Flogs”) behind these campaigns. 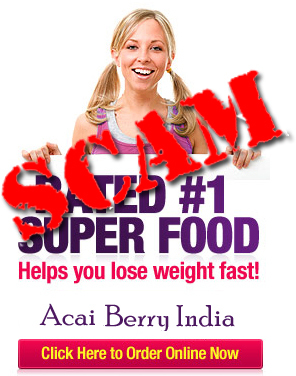 Due to many consumers being cheated out of money spent on products such as the acai berry health supplement that was sure transform you into a bodybuilder in weeks, the FTC brought the hammer down on deceitful affiliate marketers. Six successful affiliates were forced to surrender any ill-gotten commissions from deceptive offers such as the acai berry case, with the judgments rendered ranging from $594,000 to $2.5 million. However, due to the financial situation of these nefarious marketers, judgments were suspended until they pay off whatever assets they may have. The recently bankrupt affiliate network Copeac agreed to a settlement with the FTC to the tune of $1.3 million, which represented revenue that was generated from fake news sites advertising the benefits counterfeit products. The damage to their brand resulted in Copeac being unable to pay their affiliates commissions owed and led to network shutting its doors down and going out of business. Despite the egregious fraud committed above, there are reputable networks providing both profitable and legitimate offers in the marketplace. However, this case study should be a warning for new performance marketers to do their due diligence when looking at niche offers. If the offer sounds too good to be true, do a little research to make sure the program is real and won’t cause you legal headaches in the future. Otherwise, you just might have the FTC knocking on your door.